Where have I been these days after I got off school? Well! Setting up a new aquarium in my room! Teehee! I bought the tank at the end of July and have been adding things to it until now. At first it was only filled with some Java moss and gravel and a temporary female betta that my sister bought. She named her Ferrari (I think). She's a pretty red colour. I actually saw her and told Karen about it. Karen's wanting buy a male too but all the petstores don't have any blue ones that Karen likes or they are of not very good quality. Petcetera's fish section is in a particularly dismal state. My my have they've gone downhill. 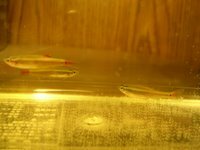 On Friday, Winnie, Vicki and Michelle gave me 3 white cloud minnows (the fish I wanted) for my (belated) birthday present! Yay! Here's them when I brought them home. 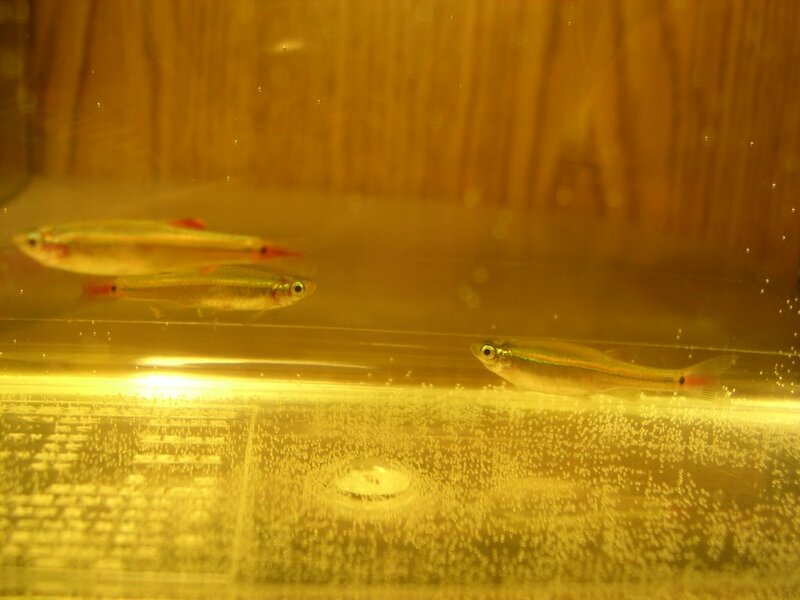 I think the two on the left are males and the one on the right is the female. :) The males are VicVic and Winifred. xD My friends wanted me to name them that. Hehhehe. I don't know which is which since I can't distinguish between the two males. And the fish and the tank today after some plant additions and an artificial log. I bought the plants today along with an Amano shrimp. The fish are up at the top there. Ferrari got moved to another tank in my sister's room. 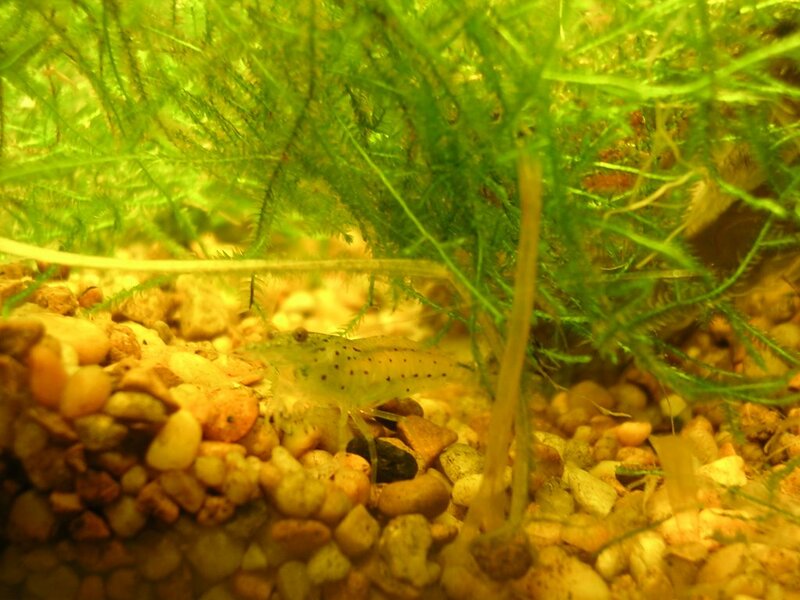 The Amano shrimp is so cute! I'll probably get another one. We'll see how well this one fares. 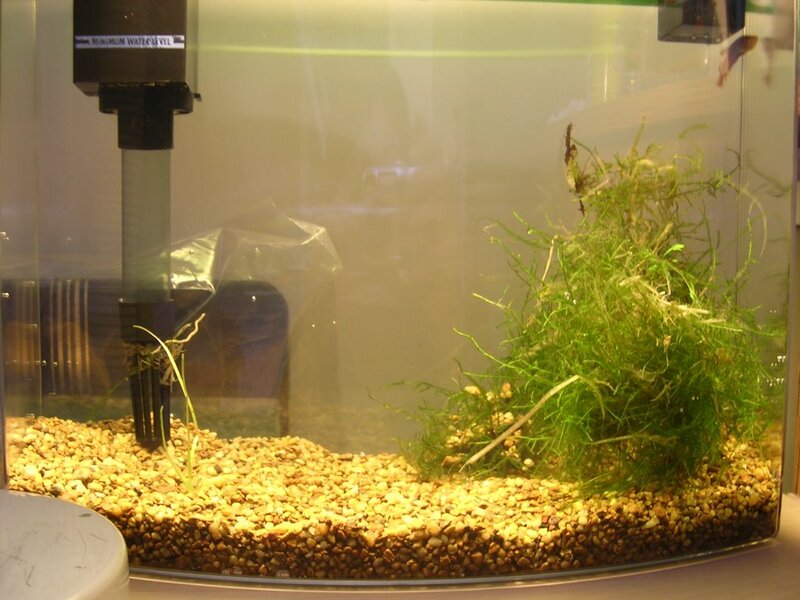 I am so excited this is my first aquarium that has REAL plants in it! 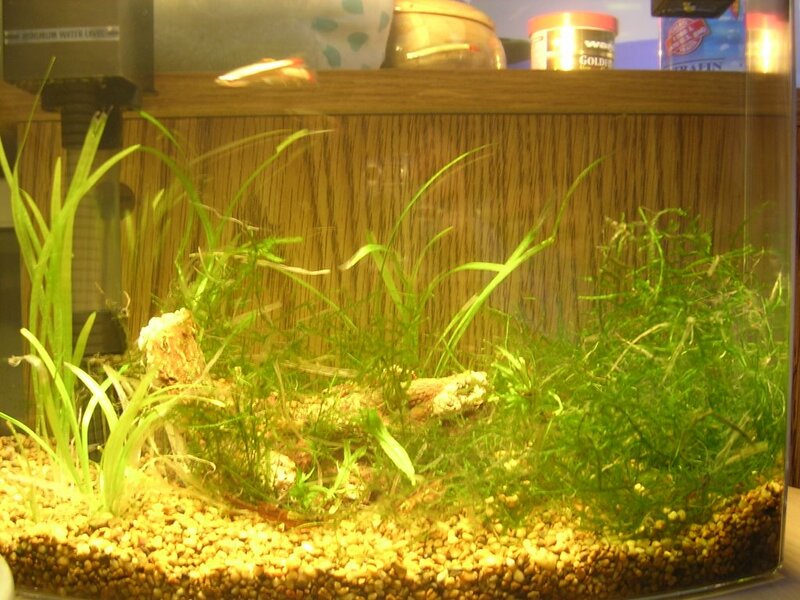 The plants I have are Sagittaria subulata and Java moss. I bought some liquid fertilizer for them but I think I should also add tablets in the gravel and get a better light. I'm just using my desk lamp right now. The tank doesn't come with the light and to buy it is an additional $34.99! That's too much for me. I haven't even started my job yet and I'm spending all my money away. 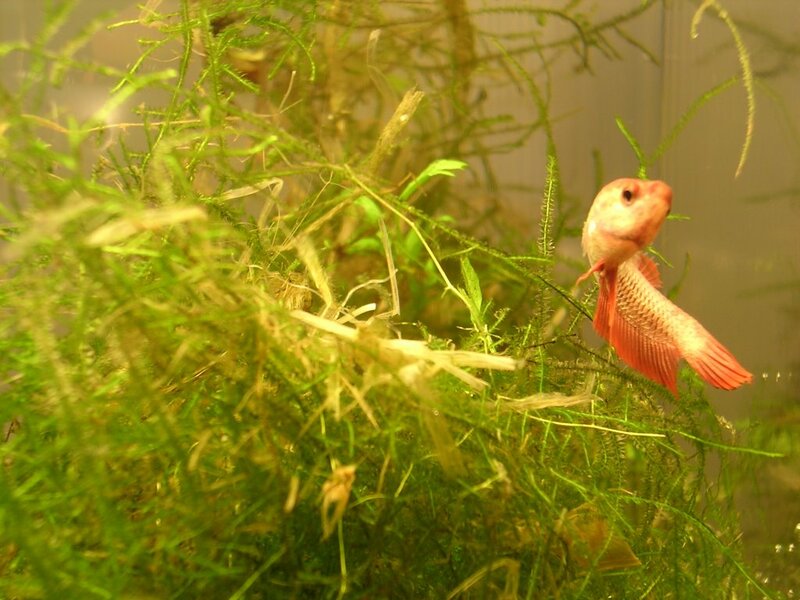 YOu have a very neat looking tank this far. Very sweet with all those plants and the nice construktion of it. Good luck with everything, and congrats again! 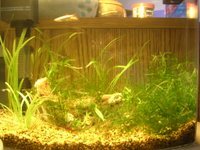 hey, I stumbled across your blog - nice low maint tank, I hope to set up one like that w/ more White Clouds, Java Fern and Java Moss. Amiable fill someone in on and this enter helped me alot in my college assignement. Say thank you you for your information. Easily I acquiesce in but I about the brief should secure more info then it has. It isn't hard at all to start making money online in the underground world of [URL=http://www.www.blackhatmoneymaker.com]blackhat software[/URL], Don’t feel silly if you have no clue about blackhat marketing. Blackhat marketing uses little-known or not-so-known ways to build an income online.